Brace yourselves Office fans! Steve Carell will be returning to TV, but with a slight twist. 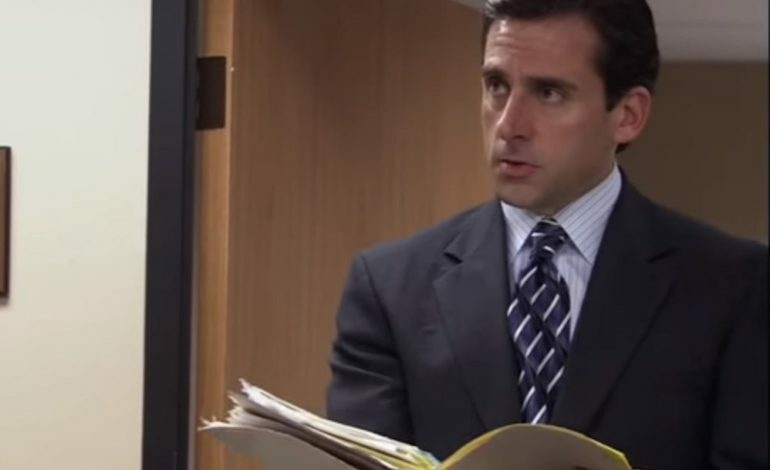 He will not return as “the world’s best boss,” Michael Scott. However, he has been cast as the lead in this Jennifer Aniston-Reese Witherspoon Apple drama. Back in the day, Witherspoon was a guest on Aniston’s popular show Friends. She played the role of Rachel Green’s (Aniston) sister, Jill. About a year ago, we got the news that Aniston and Witherspoon would reunite on-screen with their own TV series. Fans of both were excited to see what the two were up to. After Carell left his hit show, The Office, he moved onto movies where he found himself with an Oscar nomination for his role in Foxcatcher. Finding success in movies showed that Carell could tackle just about any genre. News broke out that Carell had landed a role in this TV series as Mitch Kessler, a morning show anchor. The whole show itself is revolved around a morning show and all those important people who make it happen. Carell’s character is finding himself struggling with his anchor abilities in a new era of media. Carell is no stranger to the morning show format as he took part in the classics Anchorman: The Legend of Ron Burgundy and Anchorman 2: The Legend Continues as Brick Tamland, a weatherman. We are always eager to see more of Carell on TV. The untitled drama has Kerry Ehrin (Bates Motel) as the showrunner and executive producer along with Mimi Leder (ER) as the director and also the executive producer. Aniston’s production company, Echo Films, and Witherspoon’s media company, Hello Sunshine, come together to produce the series. Apple has ordered for a two-season and 20-episode show that will begin filming in Los Angeles next week. There is no premiere date as of yet.